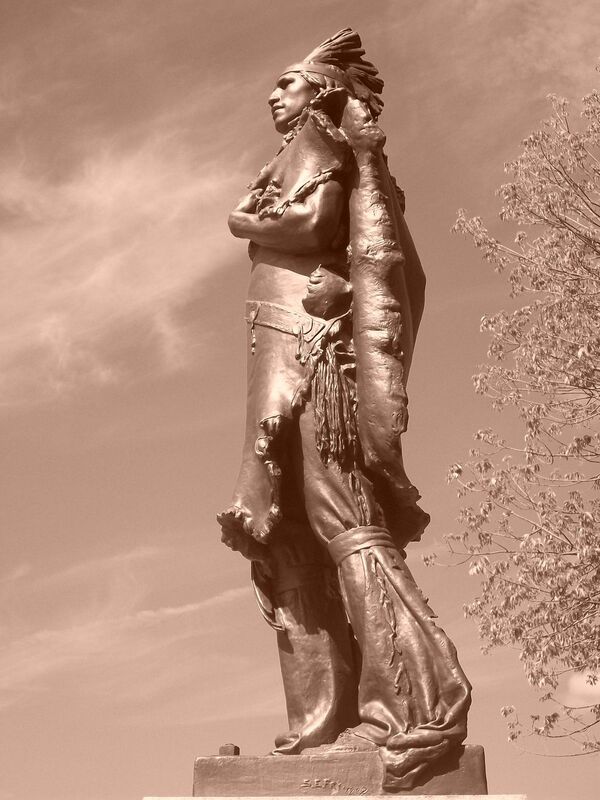 Sherry Edmundson Fry statue of Ioway leader Mahaska. Labor Day weekend in Oskaloosa, Iowa, and a statue of the Ioway leader Mahaska on the Oskaloosa square. Date Uploaded: Sept. 7, 2015, 2:55 a.m.